Junior biochemistry major Renju Pun completed an externship at Orange City Area Health System with Dr. Steve Locker '85. Pun has been selected as an associate editor of UReCA. A Northwestern College student has been selected as an associate editor for UReCA, the official undergraduate research and creative activity journal of the National Collegiate Honors Council (NCHC). Renju Pun, a junior biochemistry major and Northwestern Honors Program member from Nepal, will join a national team to review and edit journal submissions for the 2018–19 publication. Pun will attend an editing camp in Bryce Canyon, Utah, this summer and will participate in national and regional NCHC conferences throughout the next year. “This position is going to be a learning opportunity for me through which I hope to hone my writing, interpersonal and leadership skills. I am looking forward to meeting the other editors who will represent many universities,” says Pun. “I am excited to read many original research papers done by fellow science majors. NCHC is the professional association of undergraduate honors programs and colleges; honors directors and deans; and honors faculty, staff and students. The organization provides support for institutions and individuals developing, implementing and expanding honors education. 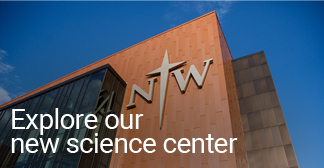 Northwestern College is a member of NCHC.